At the beginning of every month 3Dwalkthroughs.com selects our favorite 3D model from Greg Rose’s blog which highlights new 3D building models as they are added to Google’s 3D Warehouse. Our monthly selection is based on impressive: architecture, level of detail, level of realism etc. 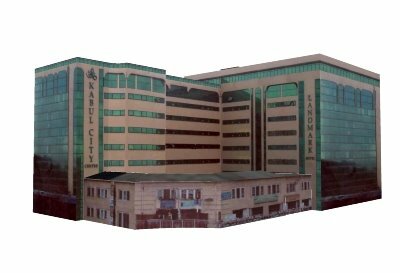 For the month of April 2008 we have chosen the Landmark Hotel & Kabul City Centre. This model was selected as we really liked the clean lines that were used as well as the reflective surface of the facade. This is one of the largest and tallest buildings in Kabul, housing a 4-star hotel complex and parts of the famous and popular Kabul City Centre. The centre itself is a giant shopping mall offering all sorts of goods and articles. Though prices are very high compared to average income, this mall is generally judged upon as an enrichment for the capital city. This building is open to the Afghan and international public. ThinkWare’s 3D Navigation System – Making It Impossible To Get Lost? Based on the direction that navigation systems are heading, soon we might not need to look out of the windshield to see where we are going…well, not exactly, but close. 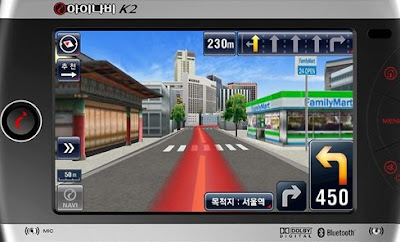 A new 3D navigation system has hit the market in Korea by a company called ThinkWare. The navigation system features highly detailed 3D maps that show every imaginable aspect of the travelled route. Thinkware’s iNAVI K2 boasts a 7-inch 800 x 600 resolution touchscreen, DMB TV tuner, 500MHz processor, picture-in-picture support, integrated media player and AV input. You’ll also find a headphone jack, USB port, built-in antenna, SD expansion slot, stereo speakers and some form of karaoke game — which is likely worth the price of admission alone. Unfortunately it does not appear like Thinkware’s device will be available any time soon in the United States. With that being said, 3Dwalkthroughs.com is pretty confident that it is just a matter of time before a similar 3D technology is developed and made available here in America. You are currently browsing the 3D Walkthroughs blog archives for March, 2008.